Released yesterday on PlayStation 4, Xbox One, and PC, the latest Battleborn update adds Alani, makes changes to maps and modes, balances characters, and fixes issues. Empowered Minion Waves no longer spawn for a team after killing the enemy’s first Sentry. They now spawn for both teams every fourth minion wave. To celebrate the release of Alani, Battleborn is $20 off on all platforms through Saturday, May 28. This means you can get the standard edition for $39.99 USD or the Digital Deluxe Edition (includes game and Season Pass) for $54.99 USD. 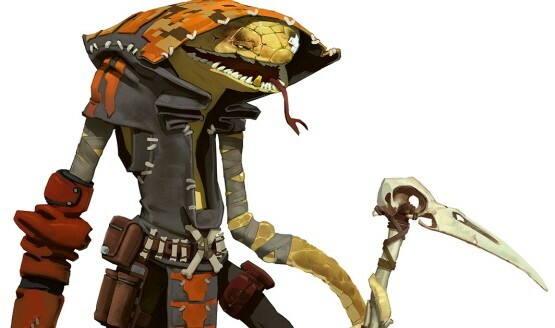 Looking towards the future of Battleborn, the 27th hero is Pendles, an anthropomorphized reptile who’s friends with Alani. He’ll be available “in the next couple months” and can be unlocked with 47,500 credits or by using a hero key.